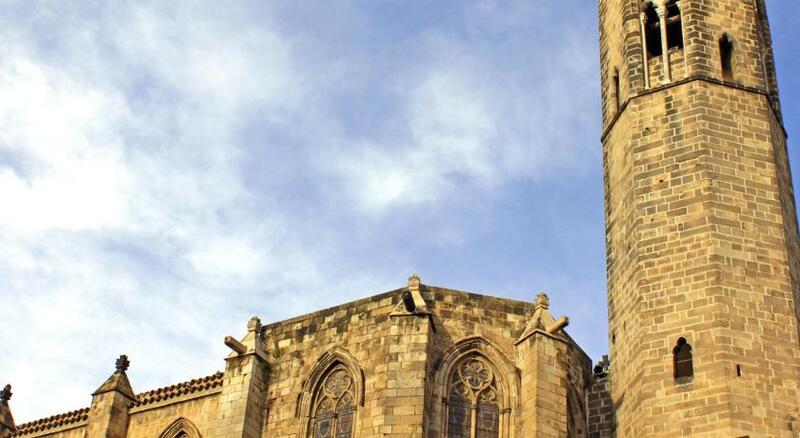 Lock in a great price for Hesperia Barcelona Barri Gòtic – rated 8.6 by recent guests! Nice clean, comfortable room, friendly professional staff and an accessible, historic location. Classic view from the small balcony. The location was great. Tons of wonderful restaurants just out the doors. Easy to grab cabs to the airport as well. Loved location, friendly staff, amazing big bed, very clean, good WiFi, wonderful towels! Also, there is an amazing little bakery very close with geat sandwiches, pastries and coffee! Large room with nice décor, comfortable beds, and a large and well-appointed bathroom. 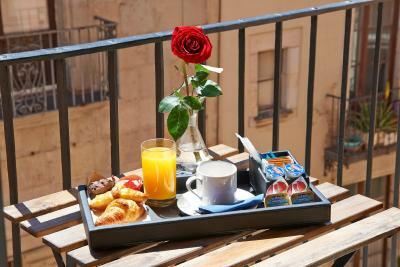 Great location on the edge of the Barri Gotic, and friendly and helpful staff. Very comfortable bed, lovely staff at the reception, really nice big shower and spacious bathroom. 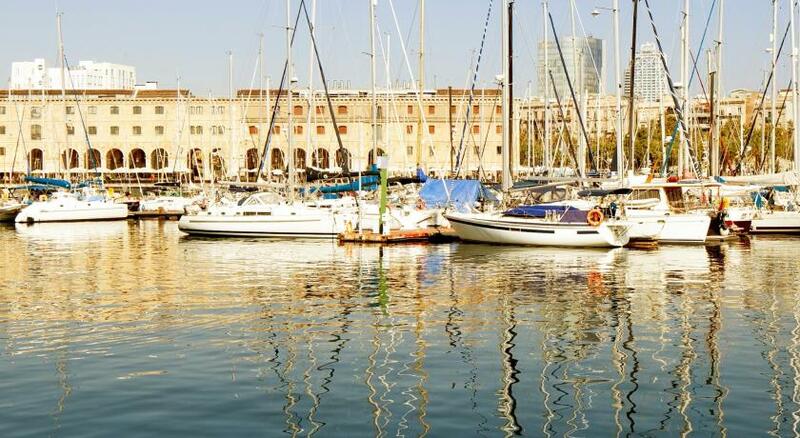 The location is just perfect - 1 street away from the Marina, 10 min walk till the Columbus statue, 20 min walk till Barceloneta, 15 min walk till Plaça de Catalunya, very nice bars and restaurants around. Staff were nice and helpful. Gym was a plus. Vending machine for coffee was very convenient. The convenience of the metro, the security, the gym, the front desk availability. The art pieces at lobby. The breakfast availability. The cleanliness of area. Located in the Gothic area of city. The history of the surrounding areas was timeless. 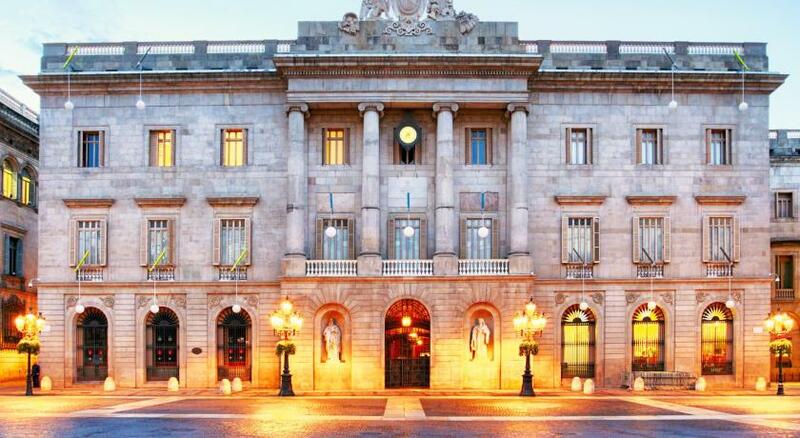 Hesperia Barcelona Barri Gòtic This rating is a reflection of how the property compares to the industry standard when it comes to price, facilities and services available. It's based on a self-evaluation by the property. Use this rating to help choose your stay! 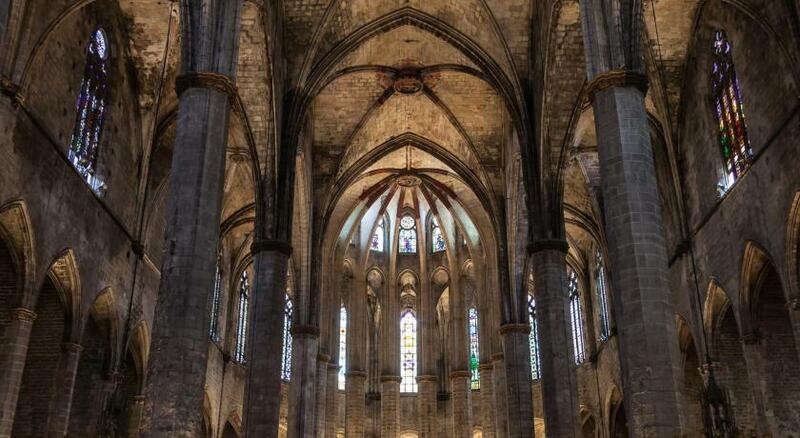 One of our top picks in Barcelona.Hesperia Barcelona Barri Gòtic is in Barcelona’s Gothic Quarter, just 350 feet from the port and 1,650 feet from Las Ramblas. 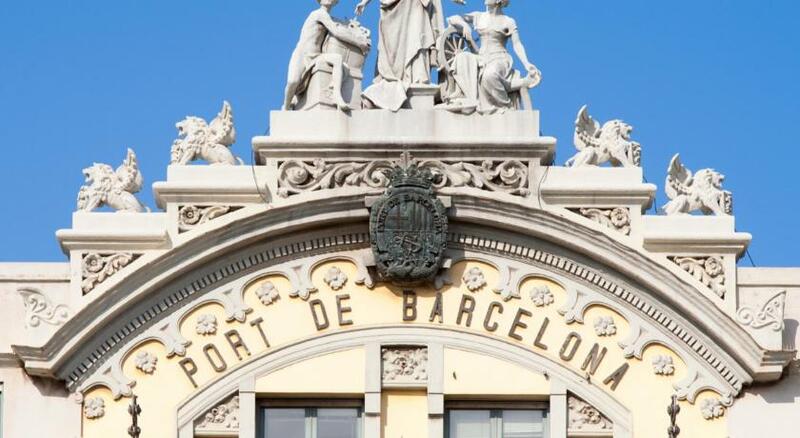 Barceloneta Beach is a 15-minute stroll from the Hesperia Barcelona Barri Gotic. Its bright, modern rooms offer free WiFi and a flat-screen TV. They also have air conditioning or heating and a safe. The private bathrooms come with a hairdryer and toiletries. The hotel serves a buffet breakfast in the bright dining room. 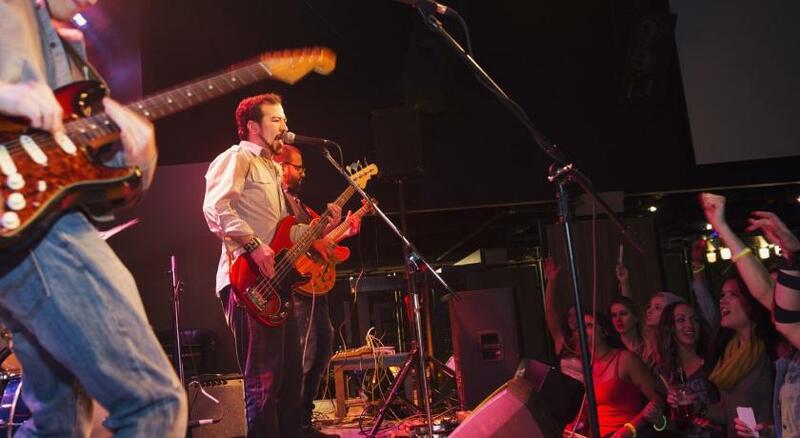 You can also find a range of lively bars in the surrounding streets. 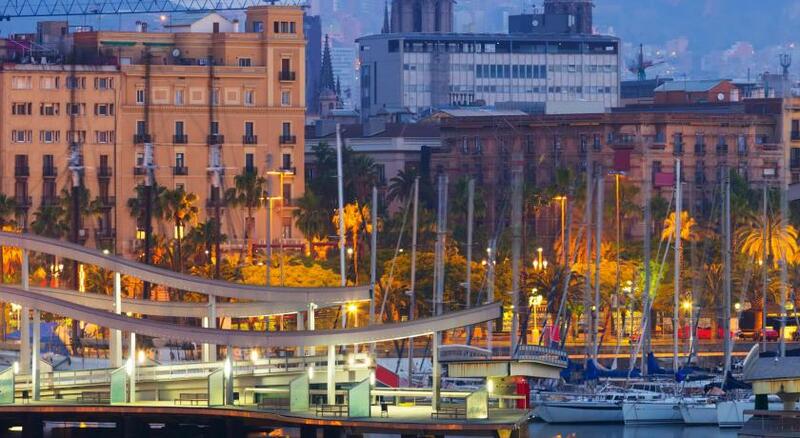 Barcelona Aquarium and Maremagnum Shopping Center are 2,650 feet away. 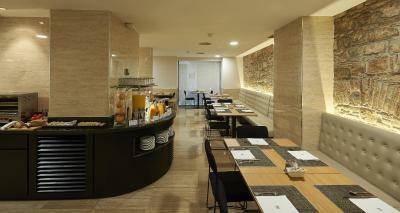 When would you like to stay at Hesperia Barcelona Barri Gòtic? These bright rooms include a flat-screen TV, a safe, and air conditioning or heating. The bathroom comes with a hairdryer and free toiletries. These bright rooms include a flat-screen TV, a safe, and air conditioning or heating. Thebathroom comes with a hairdryer and free toiletries. 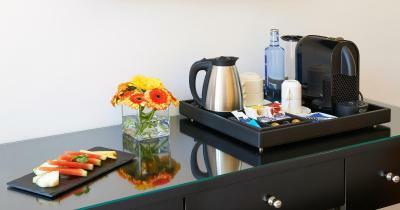 These more spacious rooms include a welcome gift, a coffee machine and a kettle. They also have a flat-screen TV, a safe and air conditioning or heating. The bathroom comes with slippers, bathrobes, a hairdryer and free toiletries. The hotel reopens its doors in February 2015 after a complete renovation. 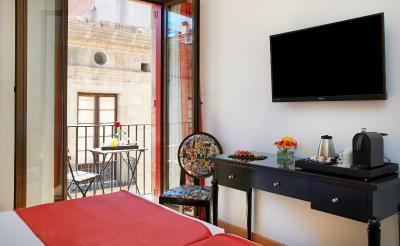 The hotel has a great location in Barcelona’s Gothic Quarter. It’s an attractive 19th-century building, a short walk from the historic old town, the harbor, the beach, shops, restaurants and tourist attractions. House Rules Hesperia Barcelona Barri Gòtic takes special requests – add in the next step! Hesperia Barcelona Barri Gòtic accepts these cards and reserves the right to temporarily hold an amount prior to arrival. The single-person room was a bit smaller than expected, and the toilet was quite close to the call. Room rate could be a bit cheaper. Every room has safety deposit box but there is no info about that at booking.com. Lack of vegetables or salads at breakfast. Fantastic high quality brakfast. Fruits, coffee and more. the room was small and no fridge. The hotel stinks of stagnant water / sewage smell. We had to move rooms our first room had a view of wall and the Smell was bad. I asked for iron to which the reply was, come and get it from the reception. Theres no cups or plastic cups in the room for drinks either. To gain entry into the building you need to buzz, there's no key swipe entry. The lounge area consists of pay vending machines. The air conditioning wasn't working when asked why, I was told it only works in the summer season, which hasn't started yet despite reaching 21oc. There was no window in the room to open. The rooms on the front of the building with a balcony are slightly better, but be aware there are bars in the street so plenty noise until 4am. My advice is book elsewhere, the hotel is below what I would expect and the staff management seem disinterested and disconnected about guests concerns. The room was clean, modern style bathroom and a good shower. Maid did a good job cleaning the room. Initially I was accommodated in the room with the windows watching the street. It wasn’t perceived in the day time but the night was a nightmare. All the sounds from the street bars and drunk people were in my room. There was literally no sound isolation. Under no circumstances don’t take the room with street view. Like a cherry on the top someone turned on a very loud Russian pop song on the street in the early morning. Disgusting. Rooms were very small. Breakfast was quite expensive. Great location & very friendly staff. The room had some very uncomfortable beds. There was nothing not to like! For what we needed & wanted from a hotel, it was everything & more! 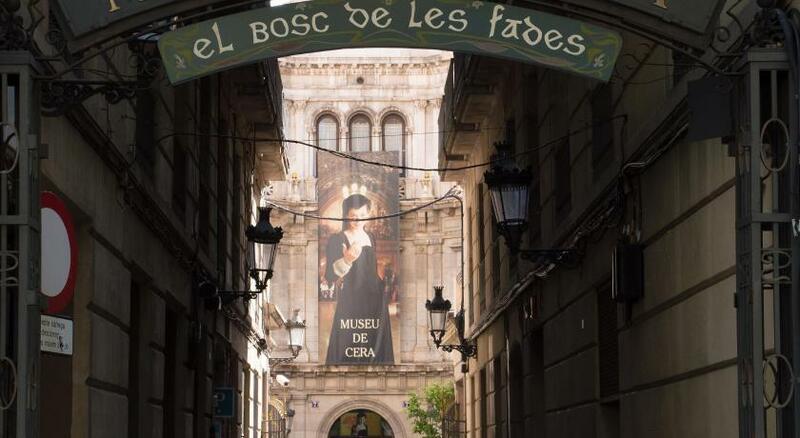 Location couldn’t have been better; 5 mins to the harbour, 5 mins to Las Ramblas & so much to see in the Gothic Quarter & EL Born with loads of quirky little bars & restaurants around. Bed was super comfy & shower was super powerful! Room was small but with everything we needed for our stay! Cleaned & fresh towels every day. Also, it was my boyfriend’s bday during our stay. I hadn’t told the hotel or asked for any extras & we were totally surprised to return after the day out to a card, bday message on the mirror, a little cake & bottle of cava all complimentary! Such a lovely touch & especially for what we considered a bargain stay! Would definitely use this hotel again! Air con didn't work, and a slight smell of drains throughout the stay. Location was superb. 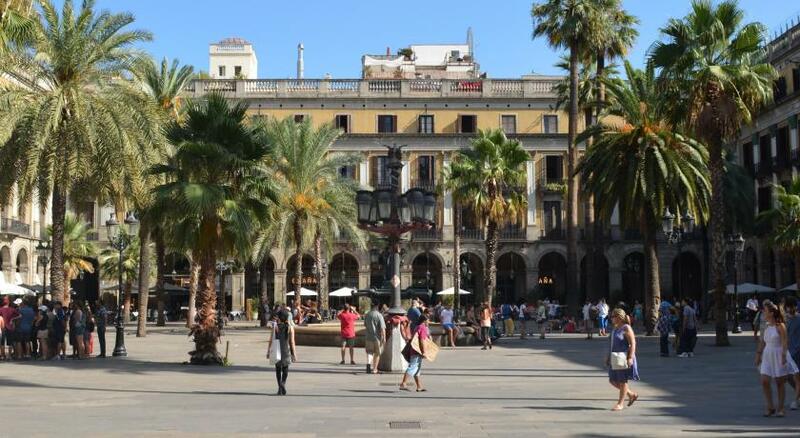 Right next to the port, 5 mins walk to Las Ramblas. Cleaned every day.